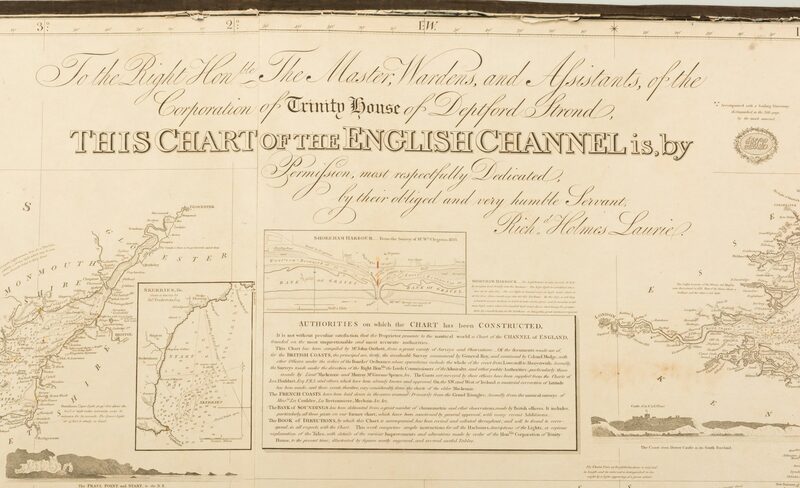 Nautical Map of the English Channel: "To the Right Honorable The Master, Wardens and Assistants of the Corporation of Trinity House of Deptford Strond, This Chart of the English Channel is, by permission, most respectfully dedicated by their obliged and very humble servant, Richard Holmes Laurie." 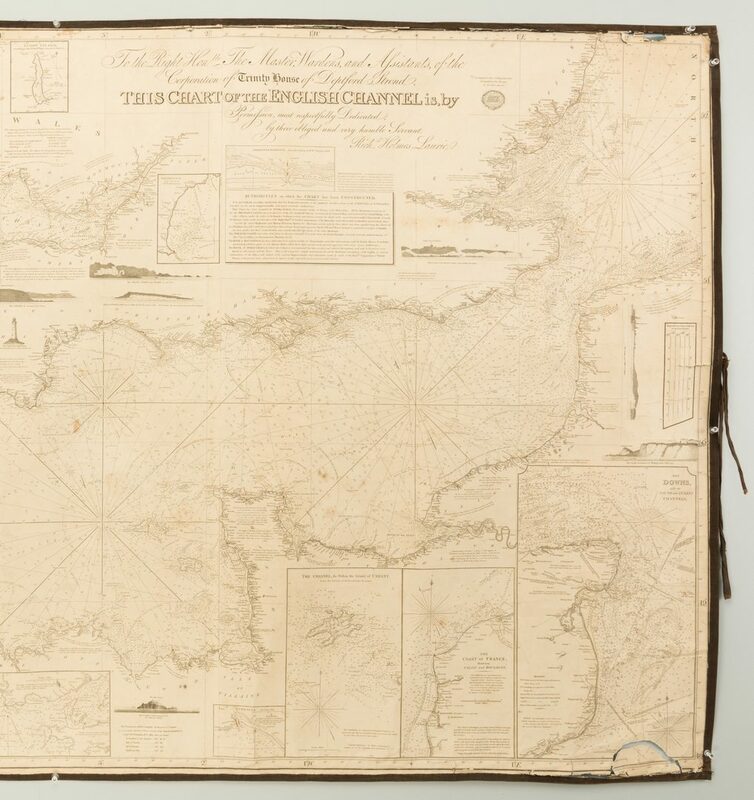 Includes navigational notations and pictorial vignettes of various coasts including The Coast from Dover Castle, lighthouses and other landmarks. The northern coast of France with detail of the Downs and the area between Calais and Boulogne and the southern coast of Ireland with detail of the River Shannon are also shown. 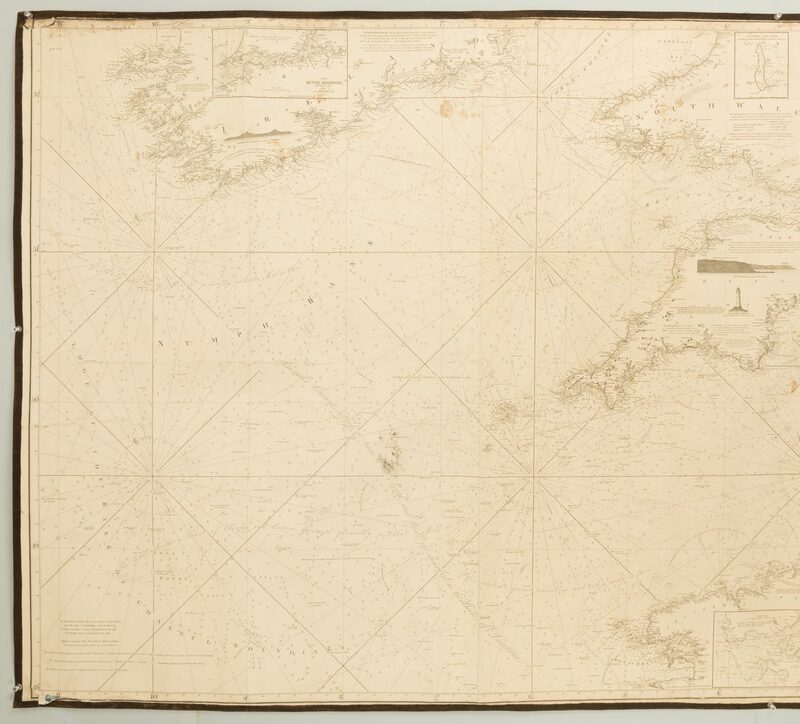 Original blueback paper with canvas edging. J. 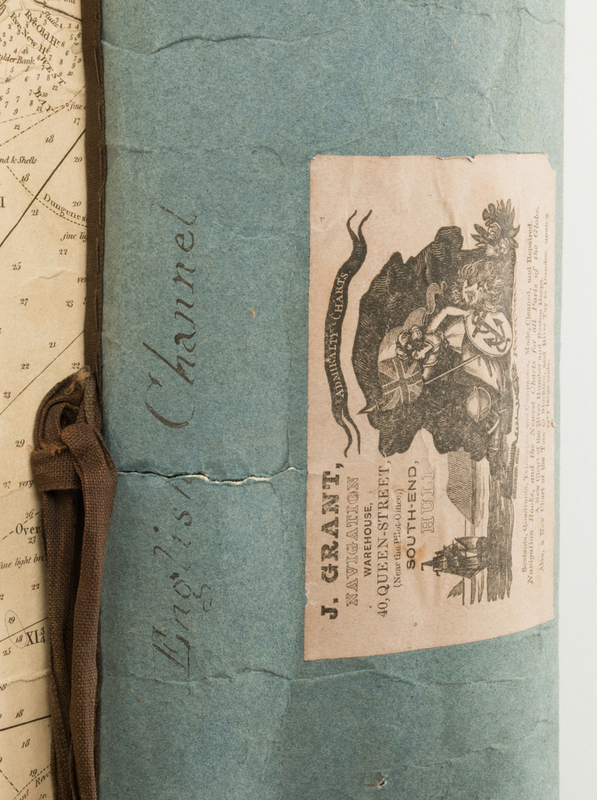 Grant Navigation Warehouse label en verso. 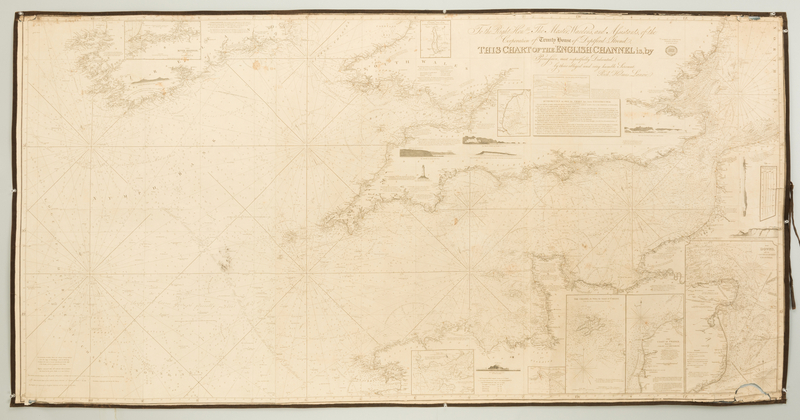 39" H x 77" W. Undated, circa 1830. CONDITION: 3" tear at lower right corner, smaller tears at other corners, separation of canvas edging at upper right corner, scattered light stains and finger smudges, some dark speckled staining to lower left quadrant near Rennell's Current.